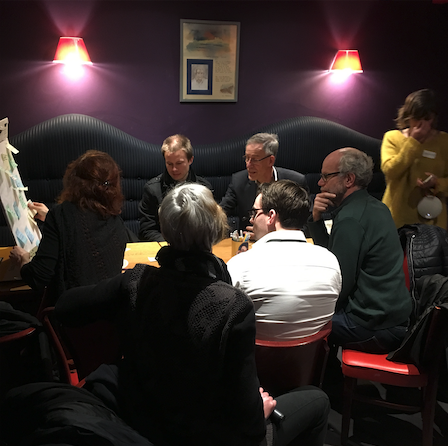 In a friendly and atypical setting, the company Energ’y Citoyennes proposed, on Thursday, February 1, 2018, a creativity session on the theme of the involvement of residents in a citizen project to produce renewable energy. The objective of this moment of collective reflection was to help society meet the challenge of citizen action, an objective that has been largely achieved. Energ’Y Citoyennes is a citizen investment company that works for a participatory public policy in the service of the territory’s energy transition. In one year, thanks to its “Solaire d’ici” project, it succeeded in building 12 citizen photovoltaic roofs by combining the energy of volunteers and local communities. On the strength of this experience, the company want to involve more municipalities and residents to bring out other projects and thus broaden its field of action. But the main challenge is to give citizens more power to be active in the energy transition on their territory! With this objective in mind, the company proposed an interactive afterwork built around three main themes: obstacles, solutions and concrete actions to be implemented. Each participant was seated, in rotation, around a table corresponding to one of the themes and exchanged with the other participants. 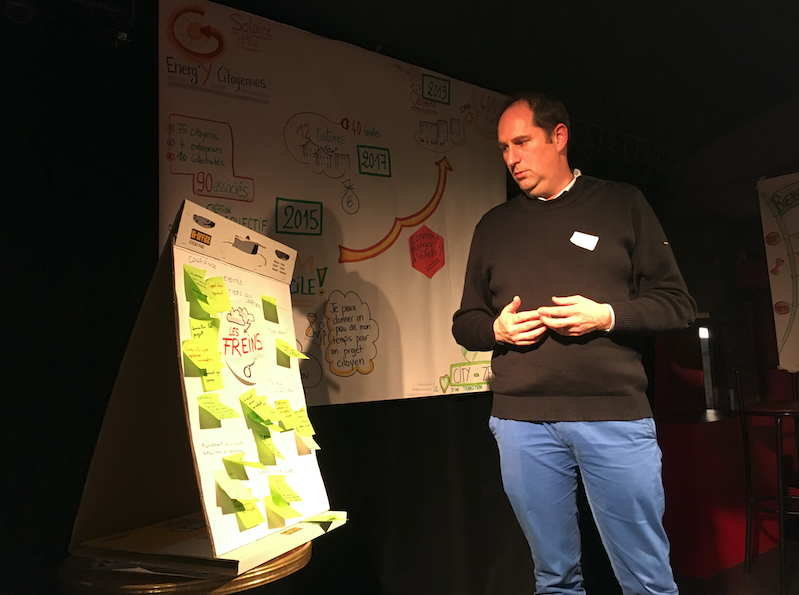 Thanks to the presence of a graphic facilitator and the rich exchanges that took place, Energ’y Citoyennes was able to draw numerous lessons as to how to involve the inhabitants in citizen projects related to renewable energies. Among these lessons, the local dimension of the project seems to be an essential factor that must be highlighted to the inhabitants. The proximity of investment and the use of locally produced energy, very close to home, are elements that seem to be decisive in the choice of individuals to invest financially in a renewable energy project. 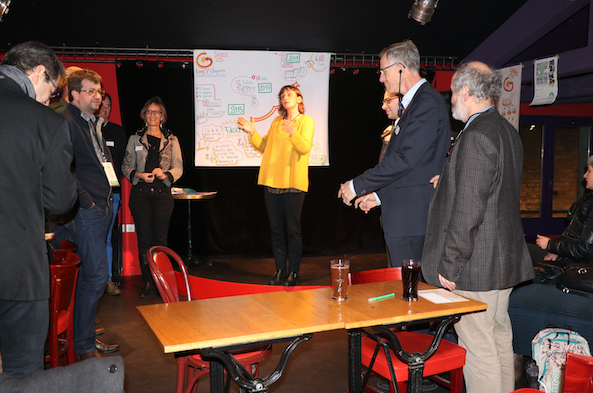 Energ’Y Citoyennes has not waited to take advantage of these lessons and has already modified its communication strategy to mobilize ever more individual energies around its future projects! Discover all the actions of the Energ’y Citoyennes association on their website.